Turmeric is an amazing plant. 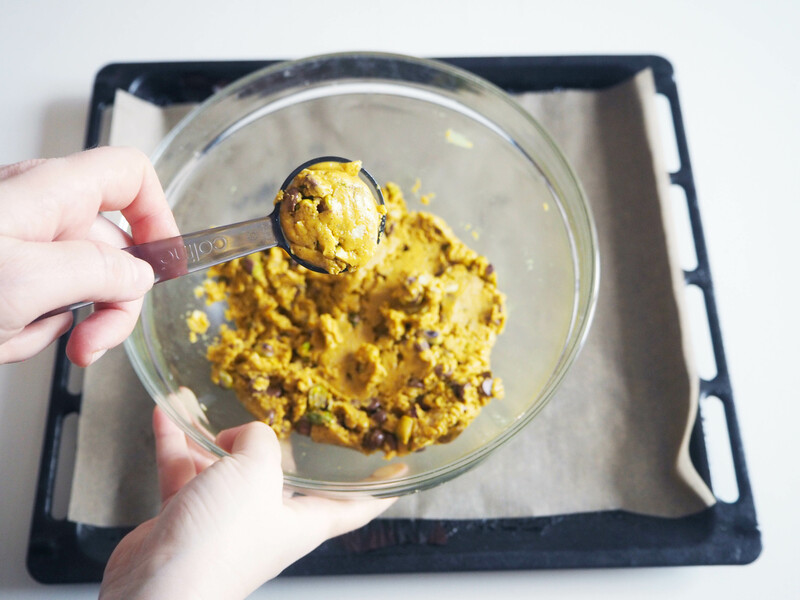 Ground turmeric is a great ingredient to use from vegetable stews to cakes (like this one here) or even to overnight oats! 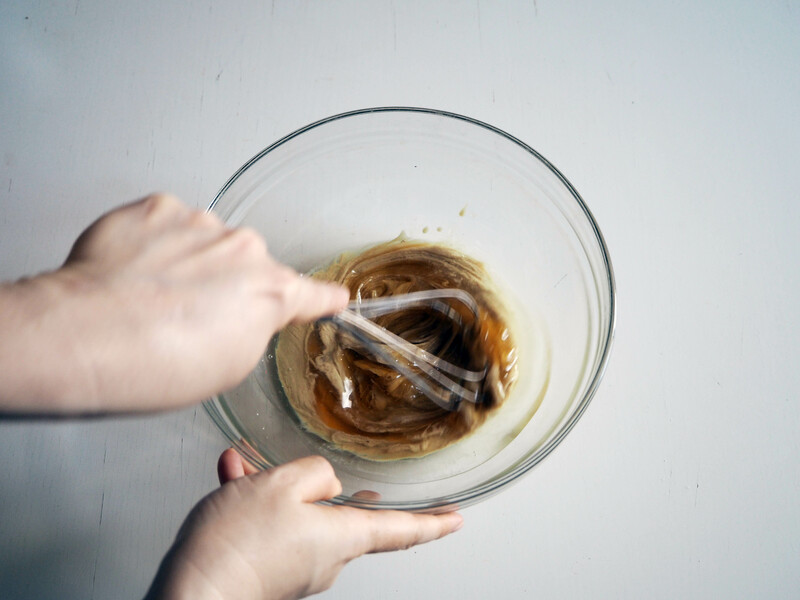 It’s versatile and it gives both a rich taste and a great colour to whatever it is added to. 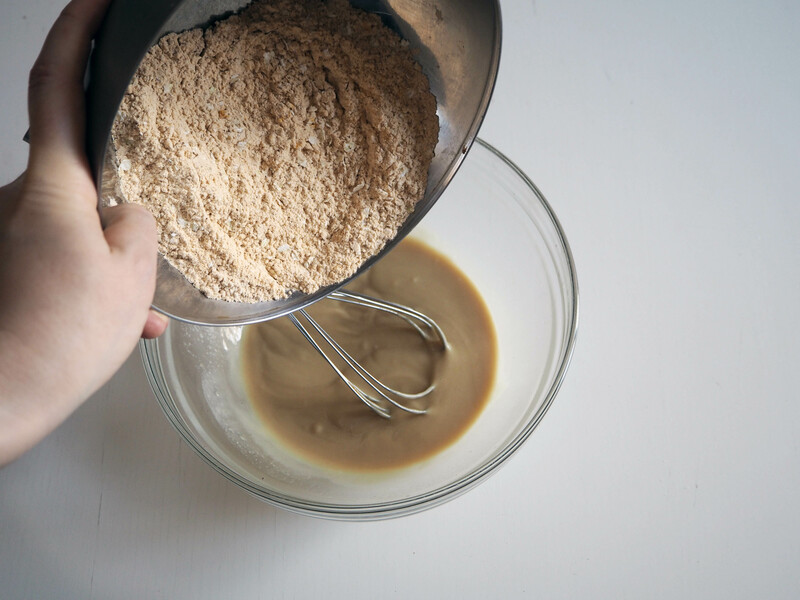 This recipe uses a variety of ingredients. 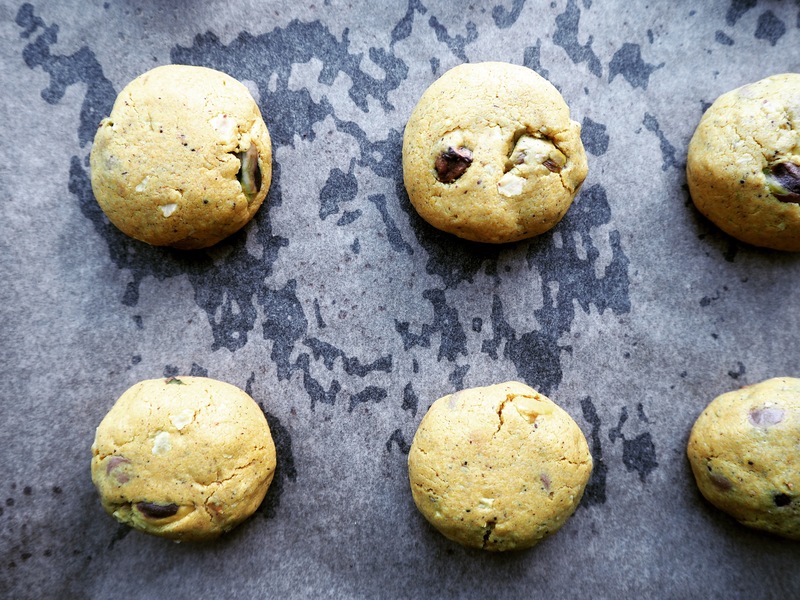 You can make more modest versions of it by removing the nuts or the chocolate (for example, if you can’t find vegan chocolate chips) and they will still be extremely tasty. Turmeric has many health benefits. The main active ingredient of turmeric, curcumin, has great anti-inflammatory effects and it is also a strong antioxidant. 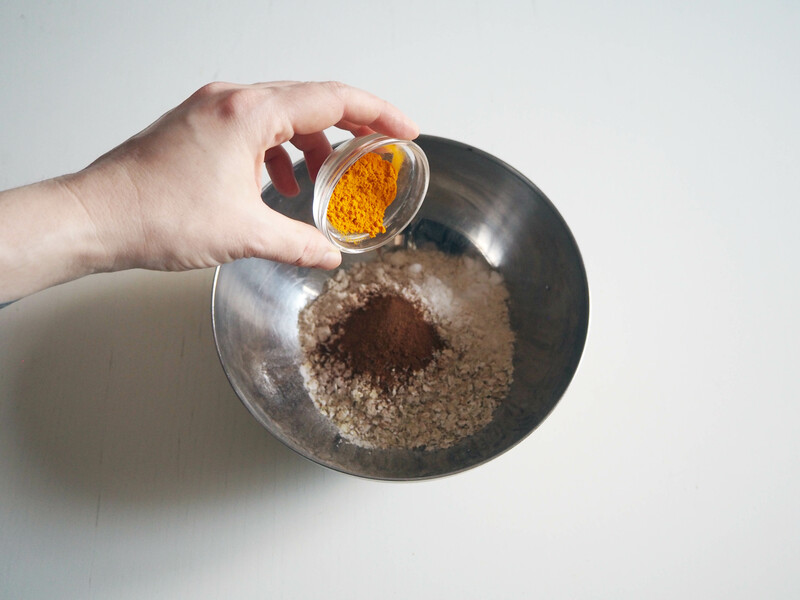 Turmeric is also linked to improved brain function and a lower risk of brain diseases in general. 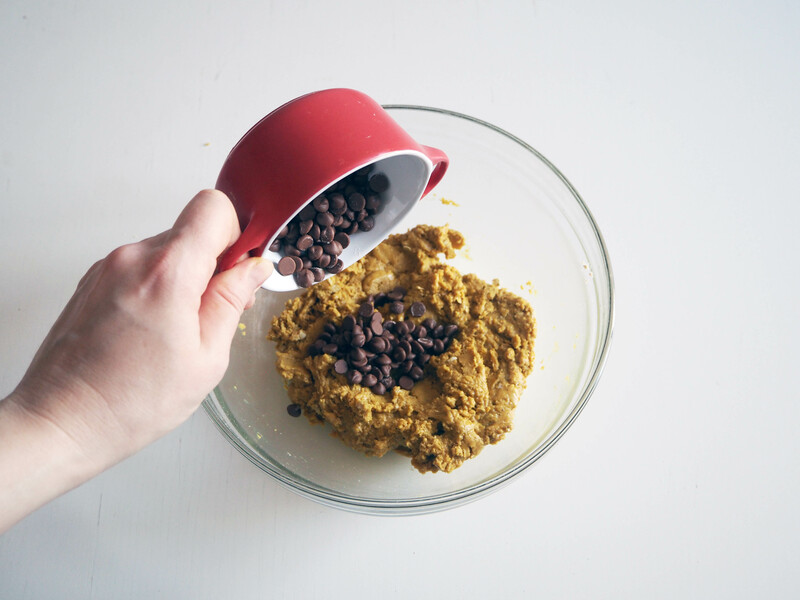 The cookies are easy to make and there is no need to use electric mixer, you can just do it with hand. They are fast to make and once they are ready, they are also fast to disappear!! Enjoy! *In these photos, the chocolate chips I’m using are regular and not vegan. Because I couldn’t find any vegan chocolate chips in Helsinki. So as a demonstration, I just used regular ones. If you can’t find vegan chocolate chips, you can finely chop any vegan chocolate and use that instead. 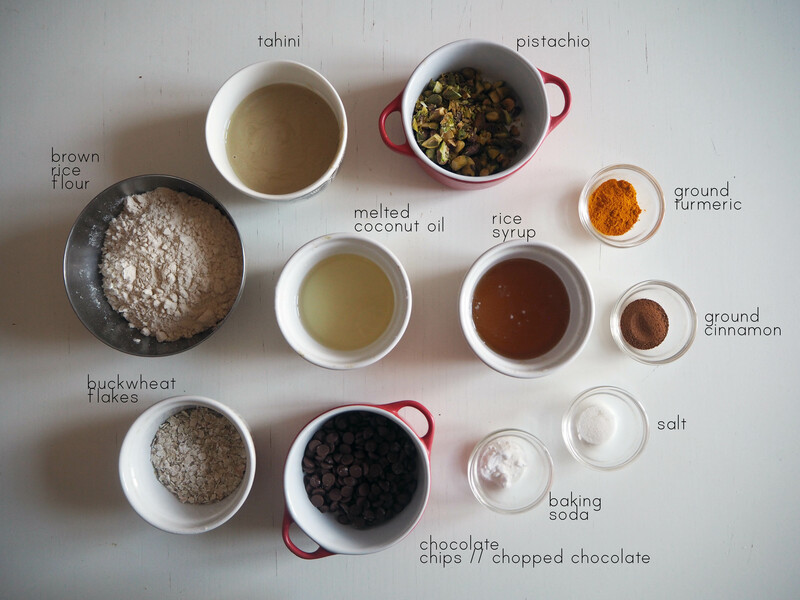 You can also make your own vegan chocolate chips and the way to do it is shown here. **I kept pistachios whole. But you can roughly chop them if you want. 1. 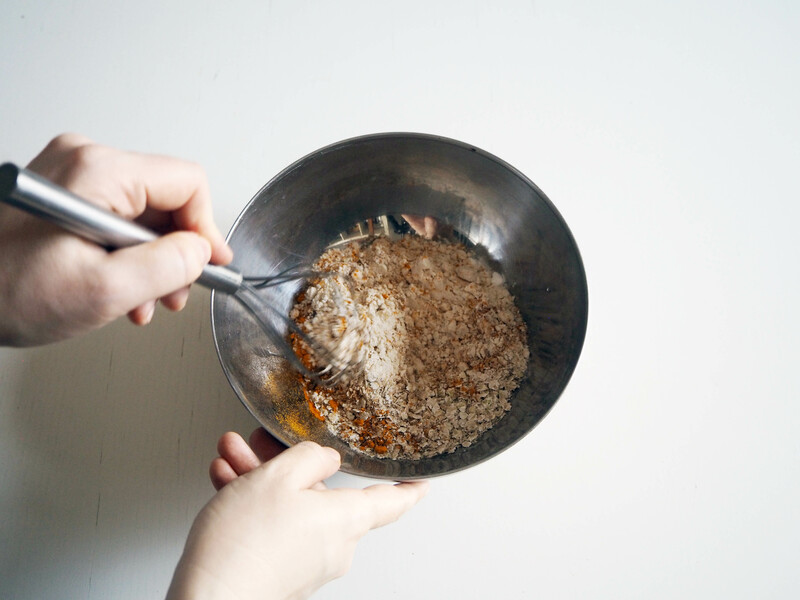 In a medium bowl, put the dry ingredients (first 6 ingredients in the list above) and whisk a little, put aside. 2. 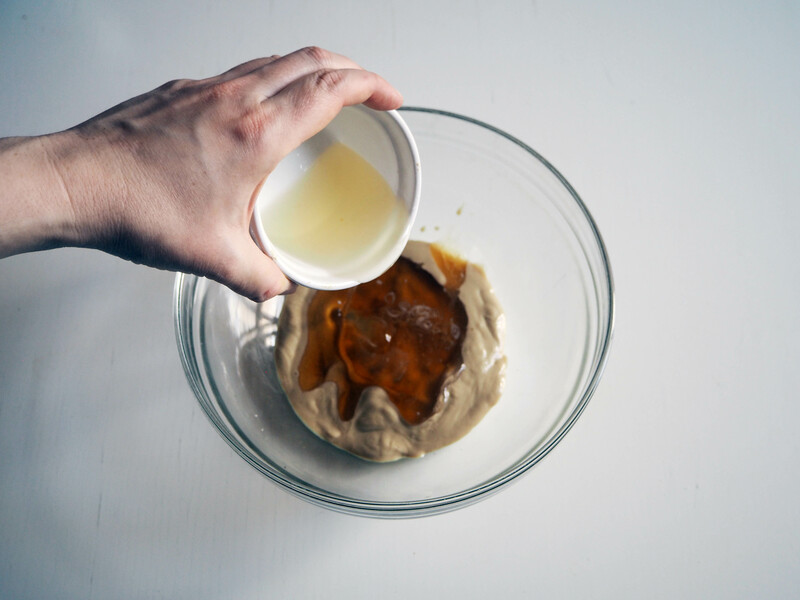 In another medium size bowl, put tahini, syrup and melted coconut oil and whisk well. 3. 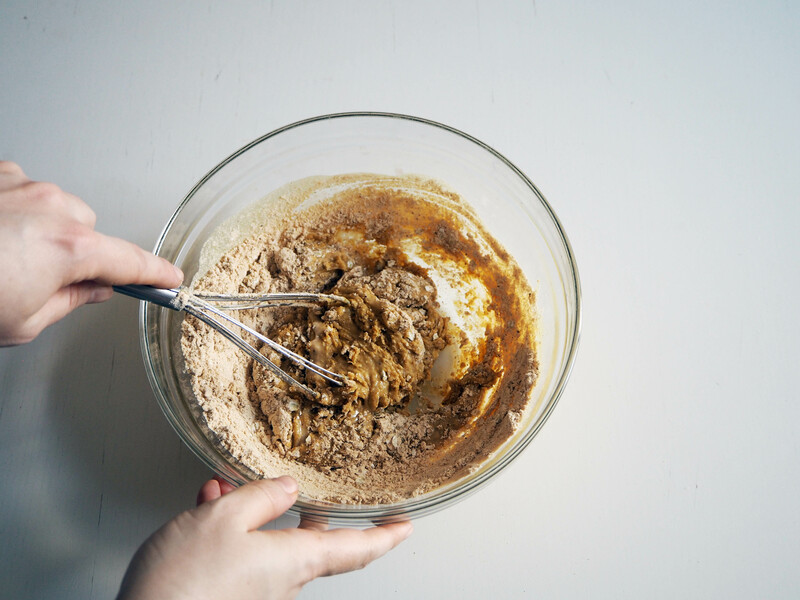 Add mixed dry ingredients and continue whisking until they are incorporated. 4. 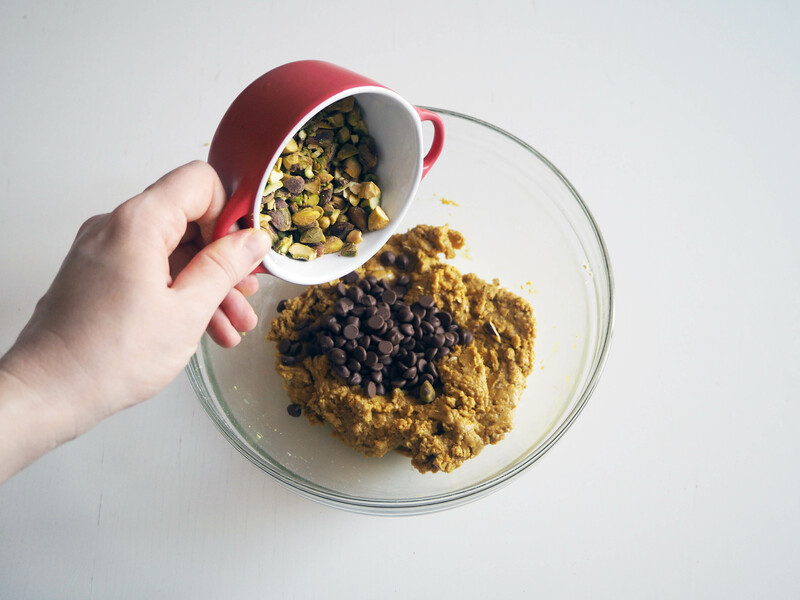 Add chocolate chips / chopped chocolates and pistachios and fold gently. 5. Put a baking paper on an oven tray (or more oven trays if you are going to bake in batches). 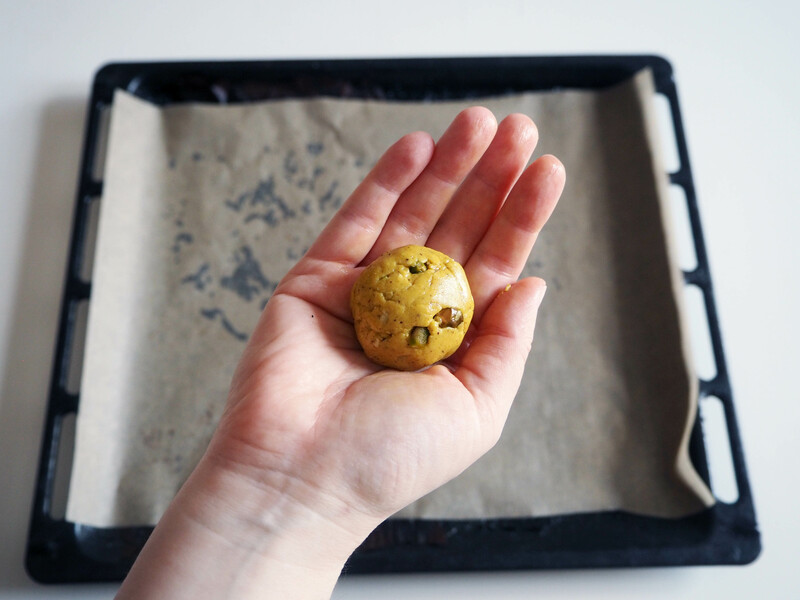 Take a heaped tablespoon from cookie dough and roll it into a ball in your hand. 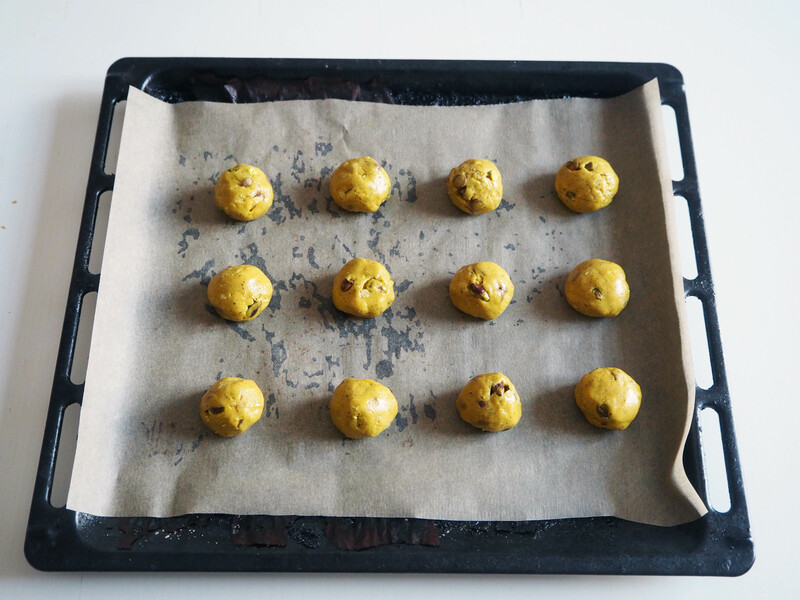 Put the cookies on prepared oven tray, about 2 cm apart from each other. 6. Put the tray(s) in the fridge for about 15-20 minutes. In the meantime, preheat the oven to 180C. 7. 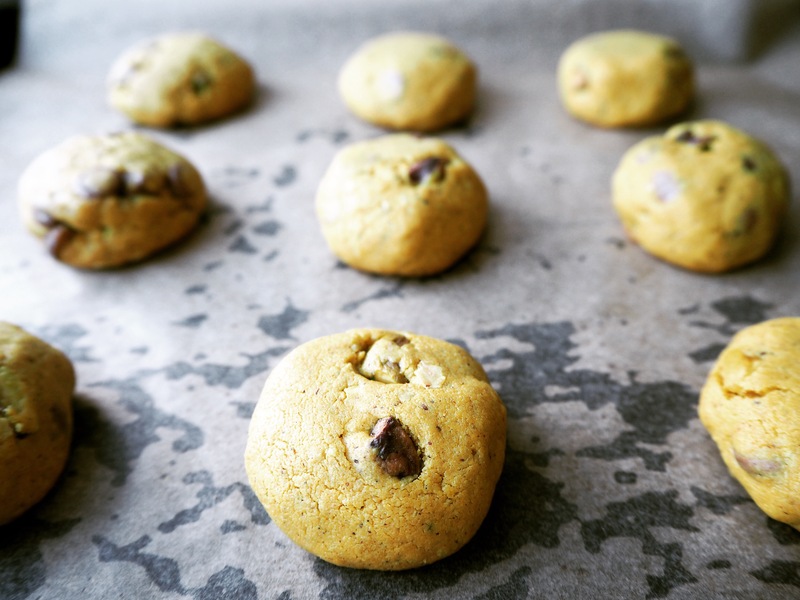 When the oven is ready, bake the cookies in batches (leave the next batch in the fridge until first batch is baked) for 8-10 minutes. Tranfer them to a wire rack after the oven and let them cool for at least half an hour before starting to eat the whole thing!! Try not to eat all of them at once. Enjoy with friends! The cookies are good in airtight container for 3-4 days. Hi! You can get them in any big K-market and S-market, like K-market in Kamppi and S-market in the center. 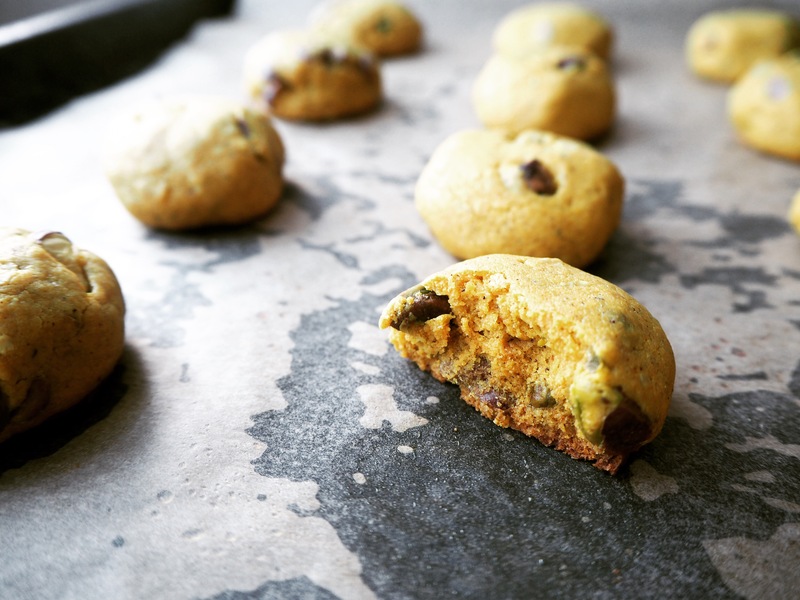 Previous PostThe Drunken Cookie – With Dried Currants, Spices… And Rum!